In a popular children’s movie from a number of years ago, two main characters can be heard arguing about which metaphor for things having layers is better: onions or parfait. One character insists that everyone likes parfait, so it’s a better way to get people to like the thing being described than using layered onions. It turns out, parfait layers make a pretty good way to think about the way your teeth are constructed. Not only are teeth layered, but each layer is quite different, doing a different job or–to extend the metaphor–bringing a different flavor to the party. Added together, they make up a well functioning–or delicious–whole. If layers are out of balance, they just don’t work right. 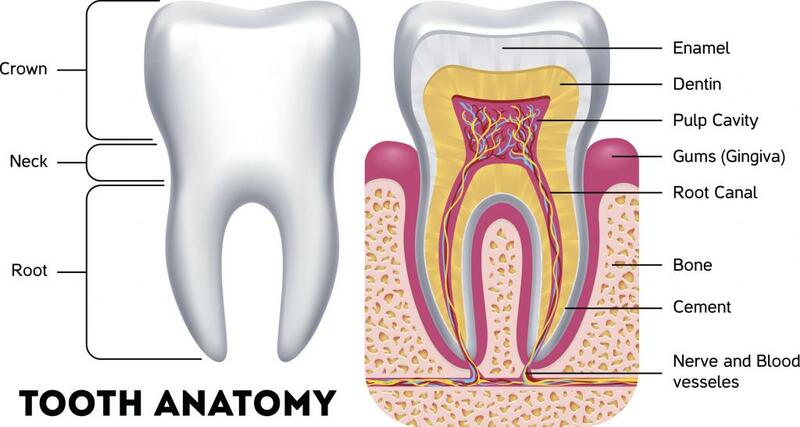 So what are the layers of the tooth? Our outer, crunchy granola topping! The enamel is the hard outer surface of the tooth. It’s main job is to protect the inner layers of the tooth from outside invaders that would harm them. Enamel is, in fact, the hardest surface in the human body. It’s made up of minerals, particularly a special form of calcium called hydroxyapatite. The enamel cap layer extends all the way into the gum line on both sides to provide complete protection for the soft layers inside. Next layer in is the yogurt layer of our parfait! Dentin is a sensitive layer. It is composed of tubules (so called because they look like tiny tubes lying up against each other), and it connects the innermost parts of the tooth to the enamel. It’s both a firm cushion and a buffer between the innermost and outermost layers of the tooth. If dentin becomes exposed because the enamel is stripped away, teeth become sensitive and painful, causing discomfort when exposed to hot, cold, or acidic substances (including sugar acids). The dentin/yogurt ties together the enamel/granola and the berry filling/pulp. Next up we have the parfait’s berry filling. In the middle of your tooth is the pulp, the soft layer that contains nerves and blood vessels that keep each tooth alive and feeling it. Much like the berries in a parfait, the pulp is the most vulnerable part of the tooth and requires the protection of the layers that surround it. If the pulp of the tooth is exposed, pain is inevitable. When the pulp is badly damaged, a root canal may even be necessary to preserve some of the tooth structure. 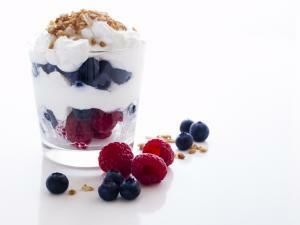 Like the berries in a parfait provide a punch of nutrition, the pulp provides key health for the tooth. There you have it! The layers of the tooth, when healthy, provide a combined delight, much like the layers of a well made parfait provide a delightful treat. Keep your teeth healthy with proper care, and they will continue to delight you for years to come.